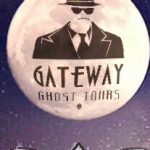 An accomplished psychic, channel and ghost tour guide, she easily taps into past lives as well as any other information the universe is offering. 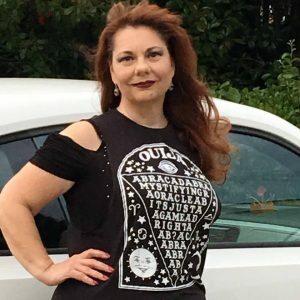 Cindy has also been an instructor of the intuitive arts for the past 10 years and has been reading the tarot for over 20 years for a select clientele. Trained as an Advanced Theta® Practitioner her intuitive abilities have helped many in the areas of healing the mind, spirit and body. She is always receiving messages from her guides and those who have passed on. This has made for an interesting life journey, especially when it comes to those who have departed. It seems that part of her life mission is to help the living understand what death is really about.Of course in Cindy’s world there is no death and what interesting stories the dead do tell! Cash is accepted for tour tickets at tour location the day of the event.